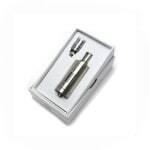 Sorry, Joyetech Delta II sub-ohm clearomizer has been discontinued. The Delta II is Joyetech's new top-of-the-line entry in the sub-ohm clearomizer market. 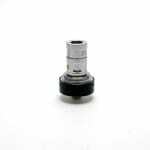 It features a revolutionary new coil system called LVC, for Liquid Valve Control, that allows you to open the coil to soak in more or less juice depending on your wattage setting and the VG/PG ratio of the e-liquid you're using. With so much precision, you're sure to always produce the biggest and tastiest clouds of vapour possible, rivaling any dripping atomizer build! 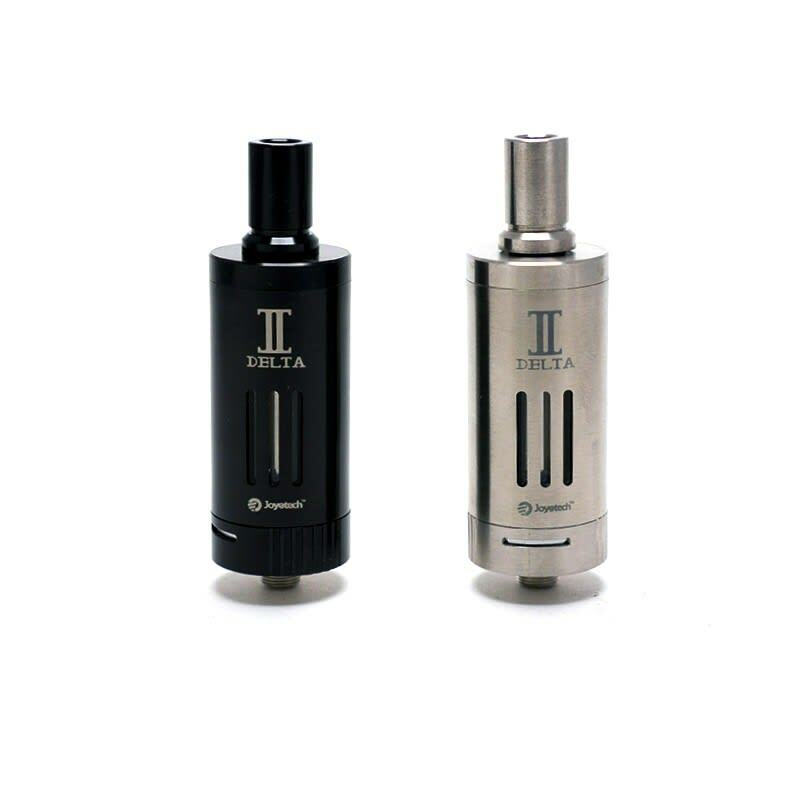 Like any clearomizer of his class, the Delta II also offers a variable airflow rotating base to control the draw of vapour from your tank, on maximum opening the Delta has one of the most impressive intake we've seen, making it ideal for people who like a lot of airflow. You also have the possibility to use an optional RBA base to build your own coils on the Delta 2. Really dense vaper at 40 watts. Much more durable than I thought, after three drops, no leaking, still working well. The glass windows are small and make it hard to see your juice level, also filling can be finicky without a fine tip bottle. Other than that, really nice coils, simple assembly and a great, flavorful vape. Gotta Give It To Joytech! The Delta II is honestly the best upgrade I could've gotten to my ego One Mega. Smooth, powerful, and the coils NEVER leak! Love this thing! Thanks 180 for the recommendation! The Delta 2 is almost like a cross between the awesome airflow on the Atlantis and the flavor of the Subtank - its a bit tricky to fill but you really get the best of both worlds of both flavor and vapor production.